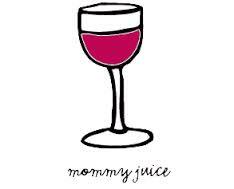 Celebrate Mother’s Day with Wine! The time of year has come where you get to spoil the most important woman in your life – Mom. After years of care, we think she deserves something special to brighten her day, and week! 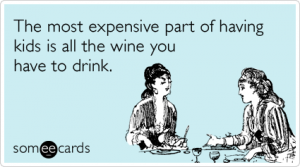 This year, show your appreciation with wine! Our Mother’s Day Special features six bottles of wine, valued at $150, and selected by our in-house tasters. – 3 bottles of red, 2 bottles of white wine and 1 rosé, including exclusive selections, available only to WineCollective, and pro awarded wines. – FREE WineCollective tote and dropstop! – FREE $15 gift certificate for your recipient to spend on her own subscription, or more wine from our members-only, online store! A gift message will be sent to your recipient after the purchase is complete. Or, choose not to send the email and print the message to place in a card. * If Mom lives in AB or BC, purchase up until May 3rd and we will guarantee delivery before Mother’s Day. * If Mom lives east or north of AB, gifts must be purchased by April 25th to guarantee delivery before Mother’s Day. This limited time package is only available until May 8th! The WineCollective not-so definitive ranking of Radlers, available at Highfield. The German Beer Institute (yes it exists) defines Radlermass (aka Radler in North America) a beverage that is a half-and-half mix of blond lager, usually Pils or Helles, and lemonade and/or fruit juice such as grapefruit. This drink originated in Bavaria in the early 20th century, but it is now bottled and canned premixed and available in all of Germany. Literally, Radler means cyclist and mass means a litre of beer, which makes a little more sense when you discover their initial creation. 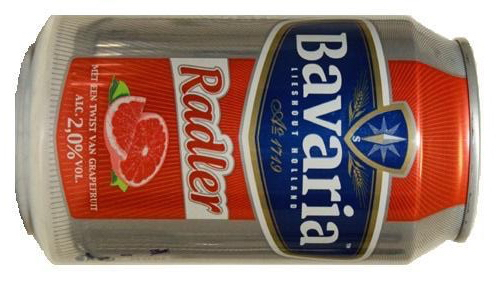 Radlers were invented by Franz Xaver Kugler, an innkeeper, who opened a bar outside of Munich in the late 1800s. After WWI, bicycle riding became very popular and Herr Kugler’s bar was on a popular bike path. As legend has it, Herr mixed lemon soda water with beer to improve his inventory of beer so to not run out. When mixing this lemon soda with his remaining beer at a 50/50 ratio, Herr proudly declared that he had invented this concoction deliberately just for the cyclists so that they would not fall off their bikes on their way home. He called the mixture a Radlermass. This is not the first time beer had been mixed with other substances. Shandy in the UK is a mixture of beer and ginger beer and even in Canada we have beer mixed with a Caesar. However, the unique characteristics of an enjoyable blond lager and refreshing juice has made Radlers the go-to summer drink this year! So, while WineCollective loves its summer wines (Rose is the appropriate answer here), we also love Radlers and have recently had a blind tasting of four of the most popular Radlers available at Highfield by WineCollective. This tasting was made up of twelve people who simply enough, tasted the radlers one at a time and identified the one they liked the most and the least. Made in Ontario and recently awarded a gold medal from the 2015 Monde Selection, the Waterloo Radler was the big winner garnering the most first place votes. The Waterloo was significantly sweeter than some of the other radlers, and this is likely due to the addition of high fructose corn syrup to the mixture. Also, while it markets itself as “grapefruit” grape juice concentrate is actually the second ingredient. Waterloo was the only radler to not receive a “liked it the least” vote from our esteemed panel as well. It also has the highest alcohol level in the group at 3.1%. Ingredients: Beer, Grape Juice Concentrate, High Fructose Corn Syrup, Grapefruit Juice Concentrate, Citric Acid, Flavour. The German original, but not really because it’s actually Austrian. When most people think radlers they think Stiegl, as this is by far the most prevalent option out in the general public right now. This Austrian import was the runner up with the second most first place scores but also a couple of “liked it least” scores in there as well. A more polarizing radler made from Stiegl Goldbrau beer and lemonade. It is significantly less sweet than the Waterloo with more of a lemon, lime taste than grapefruit. Brewed in accordance with the Bavarian purity laws, this is a more straight up example of a radler. Confusing all around. Not Bavarian, actually brewed in the Netherlands. Grapefruit radler, but actually shows it’s ingredients as lemonade with elderberry flavour. The lightest of the radlers, with only a 2.0% alcohol content. This one skated through in the middle, eliciting neither a love it or hate it sentiment from our dozen tasters. Only one person ranked it the best and one ranked it at the bottom, with no strong feelings either way. Now talk about polarizing! Brewed in Kelowna, the Tree Brewing Radler is a love it or hate it affair. Garnering almost solely “best” or “worst” ratings with only two tasters in between. 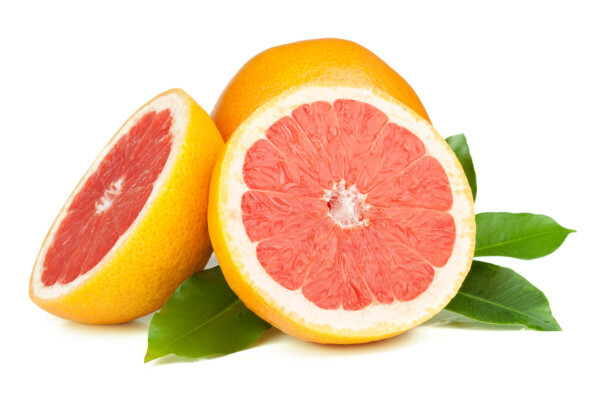 Most tasters found the grapefruit taste to be too strong and too tart, which isn’t surprising given the ingredient list is: 50% grapefruit juice, 50% beer. That’s it. For full disclosure, this was my favourite radler, it was tarter and less sweet than the Waterloo and has just the right amount of kick coming in at 2.5%. You can also get 40% of your daily vitamin C intake with one of these. While the majority of our WineCollective tasters preferred the sweeter, higher alcohol Waterloo Radler (North American flavour profile anyone?) 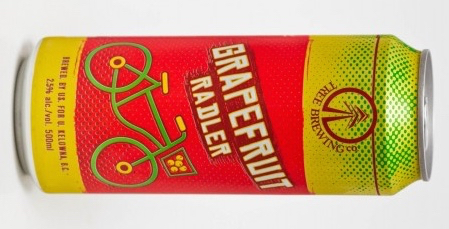 we found that all of the radlers here would be huge hits as the summer rolls on. We stock a wide selection of radlers (including a couple not tasted here) in Highfield by WineCollective. Pop by and pick up one, or four, and enjoy them outside as the perfect drink for summer heat. With Mother’s Day quickly approaching, we want to help our WineCollective members find the perfect gift for the most special woman in their life. After work, cooking, laundry, cleaning and taking care of everyone in the fam, most moms would love to kick back with a glass of vino at the end of a long, hard day. And you, being the world’s best son or daughter can easily make that happen with a WineCollective store order or gift subscription! We’ll be working hard this month to ship out all store orders for mom before Mother’s Day. If you make your store purchase before Monday, May 5th, your wine will arrive for Sunday, May 11th. For mom’s that prefer java over wine, we suggest checking out our little sister CoffeeCollective for store orders and monthly gift subscriptions. Each month, CoffeeCollective features freshly roasted beans from a different Canadian roaster. A sparkling wine from Mendoza, Argentina made from Chardonnay and Chenin Blanc. The wine is fresh with fruity and bouquet aromas and flavours! It’s a perfect edition to mimosas along with brunch. For a mom as bright as sunshine, this Italian blend is composed of Pinot Blanc, Chardonnay and Sauvignon Blanc. The palate is a citrus and tropical fruit salad with strong acidity and lifted finish of blanched almonds. Purchasing from the store is a great option if you’re looking to get your mom a bottle or two of something special we have featured in our packages. However, WineCollective also offers gift subscriptions, which will keep the gift of wine coming! Purchase a gift subscription for your mother before April 30th and the first shipment will arrive in May. Although your mother won’t receive the wines in time for Sunday brunch, you can easily print off the WineCollective gift email to put inside a card. Our gift emails explain the gift and process to the receiver as well as how to log in to their WineCollective.ca account so your mom will have something to look forward to. If you’re looking to purchase a gift for mom we invite you to use our Mother’s Day coupon code MOMSLOVEWINE for $15 off a store or gift purchase over $50. In celebration of Mother’s Day we’ve found a few women who dominate the wine industry, but do so with a few youngins hanging on their sides. Born in Niagara Falls, Elizabeth has worked at various wineries around Canada, France, and the United States. Today she is the director of winemaking at La Crema in the Sonoma Valley and manages to make perfect cool climate Pinot Noir, Chardonnay and Pinot Gris while taking care of her 4-year-old son Malcolm. As the Director of Growers Relations at the Francis Ford, Lise is responsible for overseeing cultivation and sourcing grapes from over 100 Napa Valley growers. While busy, Lise still finds time out of the vineyards for her two kids, 12 and nine. While she handles public relations, Stephanie’s husband Michael is president of their family-owned estate. The two are raising their three kids, Sophia (6), Lola (4), and Sebastian (2) in their Napa Valley vineyards. While we are positively sure the above moms love wine, we’re fairly certain yours does too! Feel free to contact us for assistance or any questions about ordering for Mother’s Day and be sure to use the coupon at checkout as all other orders without will be shipped with regular subscription packages mid-May. 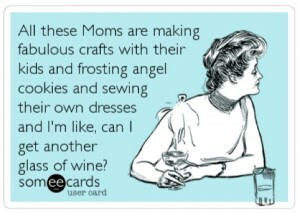 For all of our WineCollective moms, Happy Mother’s Day! Cheers! 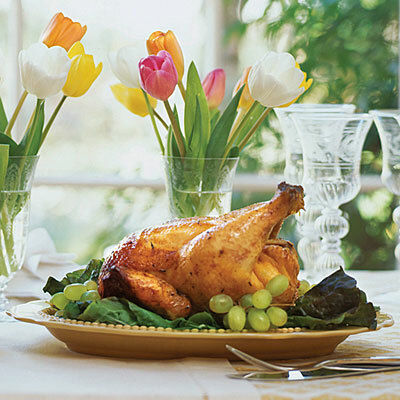 3 Easter feasts & wines to pair! With Easter right around the corner, the WineCollective team has decided to dig past the snow on the ground to the very small and patchy sections of green grass. We’re hopeful that after a festive weekend, the sun will start to shine and spring will be among us! To kick-start the bright and cheery season, we give to you several delicious recipes to boost typical Easter feasts and spring wine pairings that will absolutely bring sunshine to your table this weekend. 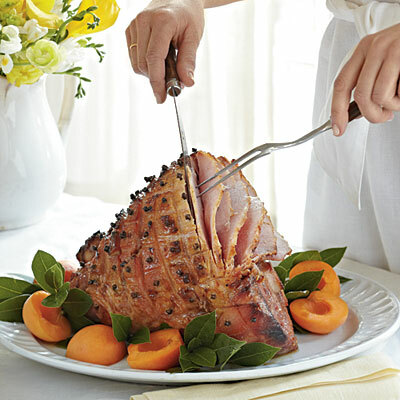 For those of you that enjoy sweet, sweet ham on Easter, try this Bourbon-glazed goodness. The recipe is incredibly easily with a handful of ingredients including brown sugar, full shallot cloves and of course, Bourbon! From New Zealand, this Riesling has incredible balance between sweetness and acidity that will easily handle the sugar from the ham. Notes of pears, melons, white blossoms and minerality are present with a medium body that can definitely handle this filling dish. This previously featured Maréchal Foch is sourced from 60 year old vines in Canada’s Okanagan Valley. Cherry and blueberry jam characteristics are rounded with oak and smoke notes. With the bourbon glaze, much of the rustic elements of the wine will show through and balance out the sweetness of the ham. Substantial amount of flavour from curry and honey combination. 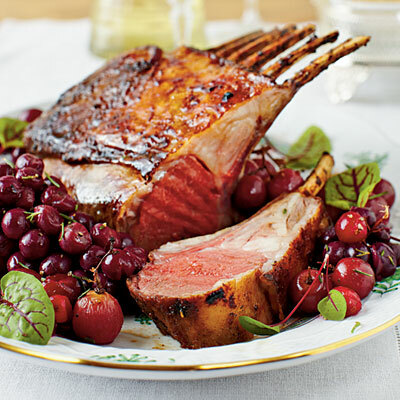 The lamb is grilled then oven baked to soak in all the juices while the roasted grapes and cranberries make for a festive topping. This wine is incredibly fresh and best served at a cool 12 degrees Celsius. Mouthwatering acidity combined with tropical notes, banana bread and honeycomb will pair delightfully with the different flavours and balance the curry spice. A blend of Grenache, Syrah, Carignan, Cinsault and Mourvèdre, this wine has all the components necessary to pair with the lamb recipe. Minerality, dark cherries and bramble fruit are carried through the palate and generous amounts of acidity and round tannins with handle the richness of the meal. Similar to the much-loved beer can chicken, except this wine uses ginger ale, adding a whole different profile of flavour to the meat. The steam from the can creates a moist rich roasted flavour. A refreshing Chardonnay that we’ve even posted an entire blog about it! High acidity meets the green orchard fruits and floral components with a creamy and velvety texture. It’ll match superbly with the ginger. Recently featured, this wine is a blend of Grenache and Shiraz from Australia’s, Barossa Valley. The Shiraz will bring out the lively ginger spice. On the palate, stewed plums, blackberries and blueberries with fine tannins and nicely balanced acidity. We hope you get to try out some of these amazing pairings and bring out some of the best in your traditional Easter feasts this weekend! If not, let us know what you enjoyed through the WineCollective.ca community, Facebook or Twitter page. As always, feel free to contact us for more information on food pairings! 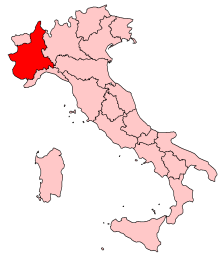 Younger generations in North America are taking a liking to Moscato wine, often described as, “a glass of sugar.” Although Moscato varieties can grow almost anywhere, its roots begin in the region of Piedmont in northwest Italy. While it was usually deemed too sweet for old Italian men, who typically prefer their full-bodied reds, the floral and fruity “Muscat aroma” has become increasingly popular in North America. 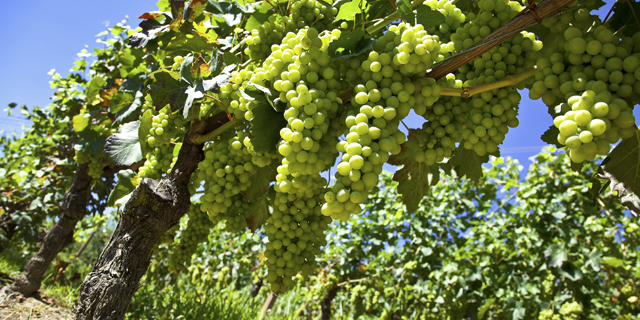 There are many Moscato varieties besides those found in Italy. Muscat blanc and Zibibbo are most recognizable yet Moscato Giallo (red variety of Muscat blanc) and Orange Muscat are also well known. There is also Moscatel de Setubal, Portugal’s variety and Muscat Ottonel found in Eastern Europe. Regardless, these grapes all have similar characteristics. Bubbly, with a low alcohol content (usually between 5 and 8%) and an inexpensive price tag, Moscato has been classified as a favorite for celebrations. It has been mentioned in numerous rap and hip-hop songs by artists like Jay-Z and Drake, no doubt adding to its trendy take-off in sales. Even female rapper, Nicki Minaj has taken a dive into the Moscato market. Recently, signing not only to be the face of Myx Fusions Moscato, but also part owner. Sales have taken off in the United States as the company is pushing to expand their mixed bottled drinks worldwide. Eyes: Straw yellow in colour with tinges of gold (potentially why its loved by the hip-hop genre). 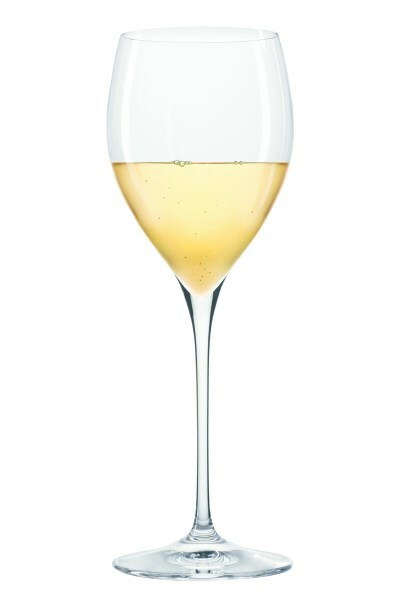 Nose: The famous “Muscat aroma” can be filled with orange blossom, honeysuckle, ginger, green grapes, citrus and always juicy peaches. Mouth: Fruit forward and easy to drink as long as you like sweet. Not overly acidic with flavours of pear and apple to orange and limes. Peach and apricot almost always present. Food Pairing: Moscato is very easily enjoyed on its own at a chilled temperature of 7° to 10°C. It does however go along with apple tarts beautifully, as well as meringue pies and lemon cakes. Besides desserts, Moscato can be paired with summer salads, brunch or antipasto appetizers. Wine Folly even suggests Chinese food to go along with Moscato. WineCollective has featured Moscato wines such as the 2010 Cavit Collection Moscato, which is only $12 and the very popular 2011 Massolino Moscato d’Asti at $15. We recommend you keep an eye out in your package for Moscato bottles in the future. 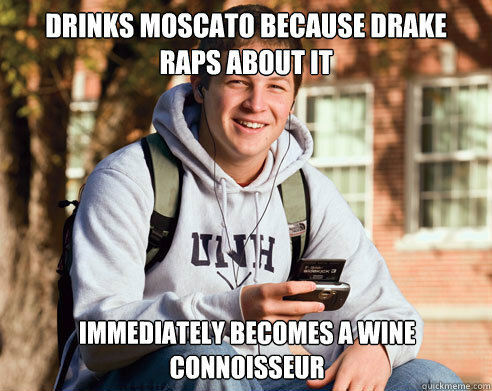 Moscato’s popularity is indeed on the rise, even if it is due to the influence of America’s biggest rap stars. However, there is no doubt that the wine is an absolute pleasure to drink during the summer months. Wine is becoming increasingly popular with youth, so light and fruity Moscato is an ideal start into the wine world. 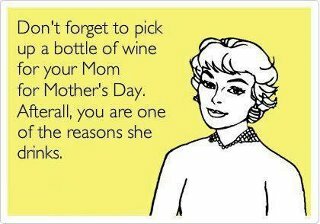 Celebrate Mother’s Day with WineCollective! Mother’s day is approaching quickly and, as with most celebrations, wine is the best complement. If you’re still looking for the perfect way to show your appreciation, we can help! Share a WineCollective gift package with your mother and let us take care of the details. In the spirit of classic gestures like Breakfast in bed, WineCollective will deliver comfort and ease with an expertly curated selection of wine delivered right to your mother’s door. Enjoy the day together; we’ll do the rest. We’ll send an email on your behalf welcoming her to a great wine experience, and your mom will receive fantastic wine to enjoy at her leisure complete with detailed tasting cards and access to our wine loving community online. From now until the May 13th, take advantage of our MOTHERSDAY2013 coupon code to receive $5.00 off any subscription or gift package. You still have until month’s end to get your wine for mid-May. Of course, there’s no need to rush. Purchase a gift for your mom any time before Mother’s day, and she’ll receive our welcome message just in time! We’ll let her know you’ve got her something special, and her first shipment will arrive in June. By the way, mothers, don’t forget to treat yourselves; you deserve it! Anticipating the Season with New Spring Wine Series! Moments ago, I took the photo to the left. 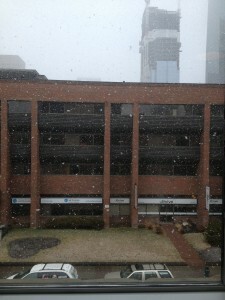 It’s the view from WineCollective headquarters in Calgary. We are in week two of April, but we’re still layering our clothing and cranking the heat. Typical for this otherwise awesome city, the weather refuses to cooperate with my stir-crazy plans for wine on a patio. I miss Spring! Fortunately, it’s bound to show up sooner or later, so I’m going to forge ahead with entry #1 in our Spring wine series. Over the next few months, we’ll look at wines that match the season and pair well with the lighter, fresher fare of warmer weather. I’d like to begin with my personal favourite, Sauvignon Blanc, because I immediately think of this varietal when the days get brighter. If Spring represents newness and vibrancy, then the fresh, lively flavours of the season are a natural match for this wine. Sauvignon Blanc has a colourful history, with speculative origins (possibly a relative of savagnin) and popular offspring (along with Cabernet Franc, it is parent to worldwide varietal hit, Cabernet Sauvignon). Performing exceptionally well collaboratively, it’s also a frequent partner in aromatic white blends, such as Australian Semi-Sauvs. Originating in Bordeaux, the Sauvignon Blanc variety has been cultivated worldwide since first migrating to Chile in the 19th century. California came next, the first cuttings arriving in the 1880s, and the varietal became popularized in 1968 as Fumé Blanc by acclaimed Napa vintner, Robert Mondavi. The grape has enjoyed great success in New Zealand (check out the 2011 Cottesbrook Sauvignon Blanc from our February packages) since the 90s, where the maritime climate is considered by some critics to produce the best Sauv Blancs in the world. The diversity of the regions producing Sauvignon Blanc is reflected in the wines that emerge from each area. The cooler climates of the Loire Valley deliver more minerality and Sauvs that pair with fresh raw seafood (think sushi). Australian blends often show grassy, herbaceous elements and are fantastic with fresh spring salads with asparagus, pea-shoots, and Fava Beans. Grapes from New Zealand and Argentina tend to produce wines that are citrus focused with intense flavours of lemon or grapefruit that work well with grilled fish and Greek cuisine featuring green onions, olives and feta. This month, we’re featuring an excellent representation of Chilean Sauvignon Blancs on WineCollective with the Veramonte Sauvignon La Gloria Reserva (pictured, right). True to the regionally characteristic lively, racy expression, this vibrant Sauv falls into the citrusy category, but has also collected some herb and minerality with its age. Refreshing, palate cleansing, and with high acidity, this is a wine that can be enjoyed with spicy, Asian cuisine. Enjoy! While Sauvignon Blanc is my personal favourite, there are many great springtime wines that I look forward to exploring in the months to come. In the meantime, while we wait in stubborn parts of Canada for a little greenery, we’d love to hear from you! 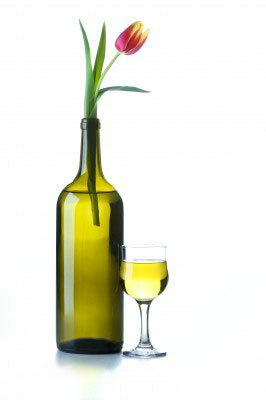 What are your favourite Spring wines?